On October 25th, the National Information Agency “Ukrinform” held a roundtable “Documenting human rights violations during the armed conflict and on the temporarily occupied territory of Ukraine.” During the event, the Ukrainian Helsinki Human Rights Union introduced the Center for Documentation, which has been operating since March this year. The central theme that sounded during the meeting and brought together human rights activists and government representatives was the need for cooperation between the state and documenters. At the beginning of the roundtable, Oleksandr Pavlichenko, the Chairman of the Ukrainian Helsinki Union, said about the availability of information about the murder, torture, and illegal imprisonment on the occupied territory of Ukraine and stressed the extreme importance of documenting these crimes and bringing their perpetrators to justice. “We know that in the countries that already had such conflicts, the similar initiatives to document crimes were created when the state did not have time to document, investigate and then prosecute for such crimes. In fact, the objective and purpose of the establishment of such projects for documentation are gathering facts of human rights violations associated with the armed conflict in eastern Ukraine,” said Oleksandr Pavlichenko. Besides, the chairman of UHHRU added that today many such initiatives had been already created as NGOs and voluntary movements. For example, the human rights coalition “Justice for Peace in Donbas,” which includes 17 organizations. The purpose of their activity is to gather under one roof all the organizations”, Oleksandr Pavlichenko emphasized. 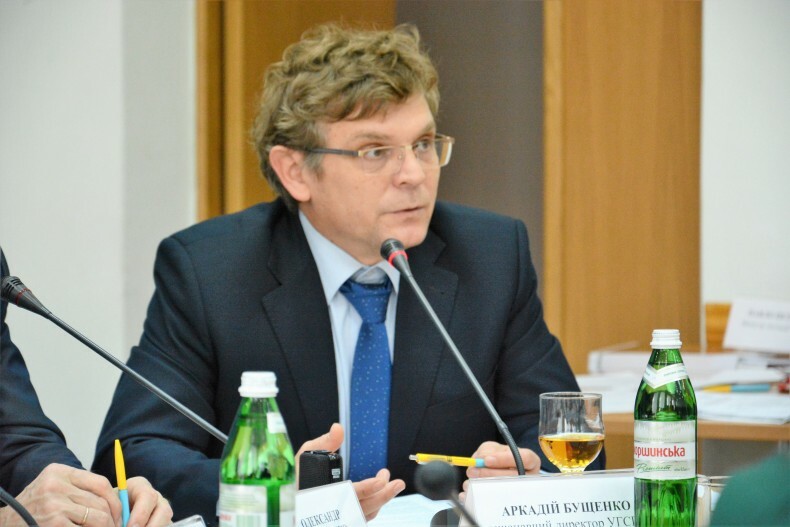 Arkadiy Bushchenko also stressed that the fragmented work towards documenting deteriorates the situation. He invited government agencies to work together. Oleh Martynenko said that the Centre during the preparation of the work studied the work of similar centers for documentation in the cases of the war in Chechnya and the former Yugoslav republics. According to the human rights defender, all of them work based on the same principles. “This principle is to establish the historical truth. The centers for documentation produce exactly the historical truth. After the following analytical processing, a wider range of interested people uses this principle. Of course, law enforcement agencies also use it. Also, people who write the laws also use it. And people who seek the implementation of these laws. And diverse religious and ethnic communities that use the historical truth to argument and develop their communities. And thus the Center for Documentation is not only the center of crimes investigation but also the center of the historical truth establishing,” Oleh Martynenko says. In particular, the human rights advocate gives the examples of the Institute of Nataliia Estimirova, founded by the Norwegian Helsinki Committee, and the Bosnian and Croatian centers. Oleh Martynenko drew attention to shortcomings made by predecessors, such as the focus on the information provided by those who survived stress situations, and untimely documentation of internally displaced persons and victims. He stressed that Ukraine has all chances to work effectively in this direction, taking into account international instruments and the support of the international community. The purpose is cooperation of NGOs with the government towards creating own historical memory and reconstruction of the historical truth. 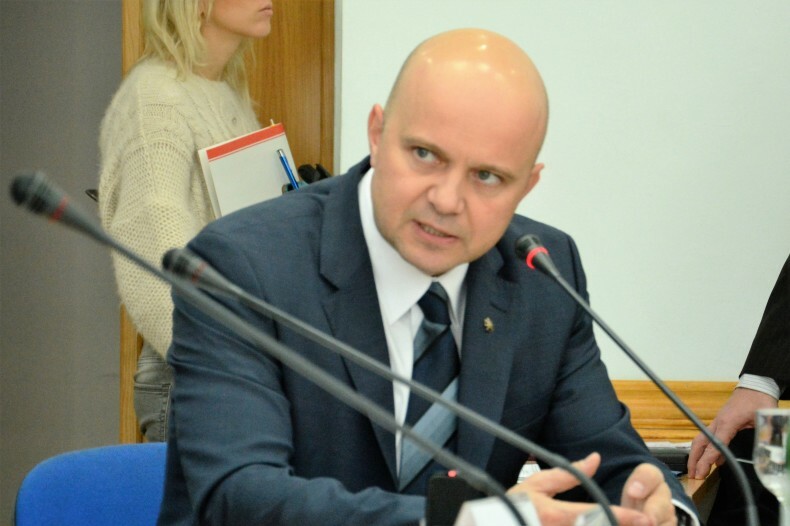 Regarding the cooperation with government agencies, Oleh Martynenko mentioned the work together in various spheres with the Security Service of Ukraine and the Ministry of Internal Affairs. However, some of the mechanisms of this work are not yet perfect. So human rights advocate notices the presence of about 350 materials that could be potential cases; however, their fate is not certain because investigators cannot include “uncertainty” to their work. Oleksii Bida, the Coordinator of the Center for Documentation, told about the features of the initiative. Seven persons work in the team of the Center – two operators, three analysts, one administrator and one coordinator. To search for data, a documenter use different sources: automated media and social networks monitoring, information provided by the Public Aid Centers of UHHRU, results of field missions in the East, data provided by partner organizations, and, of course, direct interviewing witnesses and victims of the conflict. The Center also works on mapping the crime scenes. The documenters deal with the verification of information on the basis of three sources and identify the participants of events through analysis of open sources. 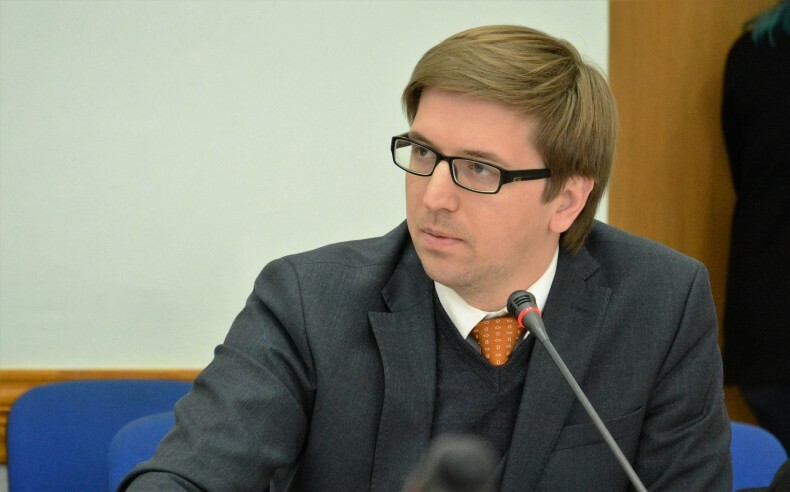 Oleksii Bida stated that the Centre uses the Memex system with high level of reliability. Its servers are located on the territory of the Great Britain. In general, according to the human rights advocate, the documenters recorded about 1300 pieces of information. On the basis of this data, 45 cases are already supported by the Strategic Litigations Center of UHHRU. The Center together with the Strategic Litigations Center works on proofs of Russia’s control over the occupied territories in Donetsk and Luhansk Oblast. Also, the Center prepared five thematic reports, three reports in collaboration with partners of the Union. The plans of the Center include an interactive map of those killed in the conflict, work in the interdepartmental documentation commission, exchange of information with other organizations and public bodies, joint databases, and video archives. The analyst added that if there is no enough information from these sources; they use other open sources, such as the registers of individuals and legal entities, databases of court decisions and so on. “At the moment, there is information about two thousand people involved in the armed conflict. The database included 350 more or less complete questionnaires of these people,” Oleksandr Sedov said. After the presentation of the Center for Documentation at the roundtable, the authorities gave their speeches. They talked about the work undertaken by agencies separately and cooperation with civil society organizations and its prospects. Heorhii Lohvynskyi, MP of Ukraine and Deputy Head of the Committee on Human Rights, shared the results of the work related to the situation in the occupied Crimean peninsula. He said that currently about a thousand criminal proceedings were open in relation to ministers, MPs, and judges who collaborate with occupation authorities. Heorhii Lohvynskyi thanked the Union for the initiative and called the documenters to use their tools to deliver evidence publicly. As an example, he mentioned the information on the person who was selling the state property in occupied Crimea. However, when the person moved to mainland Ukraine, no evidence for bringing his/her to justice was found. Daria Svyrydova, the lawyer of UHHRU, gave a speech regarding the situation in the occupied peninsula. She emphasized the cooperation with the Office of the Prosecutor General, highlighting some ineffective moments in this direction, despite the complexity of the situation in the occupied territories. For example, not always an effective investigation follows the criminal proceedings. The human rights defender drew attention to numerous cases of enforced disappearance, witnesses of which reside in Ukraine but remain unquestioned. 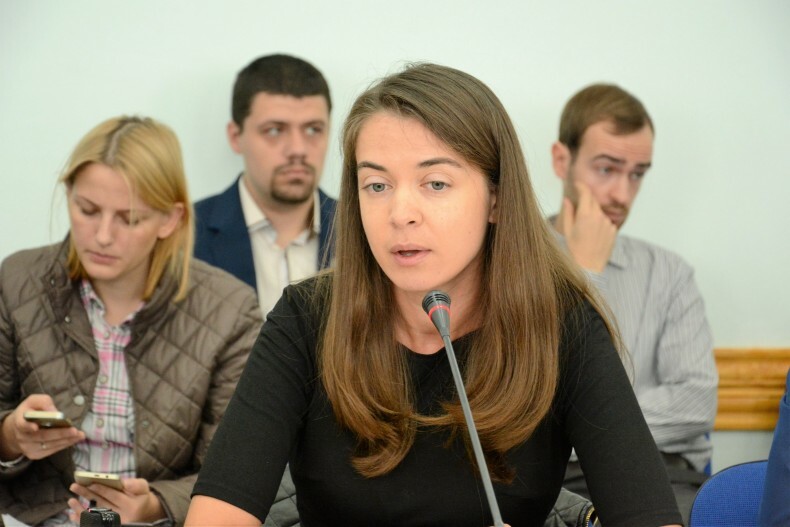 Daria Svyrydova said that a large database of people who were victims or witnesses of human rights violations and war crimes in Crimea was created. There are videos and analysis of information from open sources. The human rights advocate stressed the importance of participation of the Ministry of Foreign Affairs in the situation of Crimea. For example, the cases of illegal transfer of persons from the occupied territory to the territory of the Russian Federation are war crimes. These persons are prisoners and persons who are in places of unfreedom. Thus, the law enforcement agencies of Ukraine cannot operate in the occupied territories. However, in Russia, which forcibly moved these people, there are Ukrainian consular offices. Daria Svyrydova said that about 400 people were registered there. In these cases, the facts of forced transfer were confirmed. More than 100 people were identified. These are the persons who directly approached the Foreign Ministry with a request to record the fact of their transfer and movement. 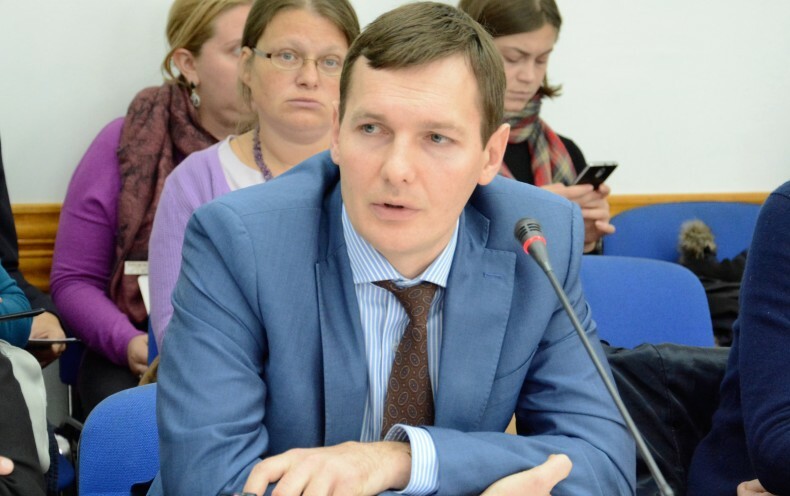 Yevhen Yenin, the Deputy Prosecutor General of Ukraine, said about the priorities in the work of the Office of the Prosecutor General are to record daily human rights violations in the occupied area of Crimea and the ATO zone. The Office of the Military Prosecutor and the Office of the representation of individuals and the state in court, fighting corruption and crimes against persons on the temporarily occupied territories are directly involved in this process. 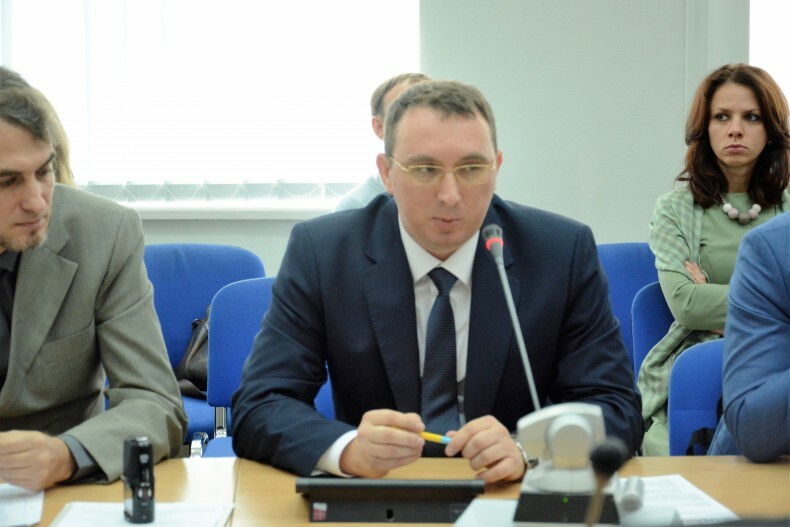 Yevhen Yenin stressed that the Office of the Prosecutor General is an active participant in the process of documenting these violations and uses international mechanisms in their work. He was talking about the collaboration of the Office of the Prosecutor General with the International Criminal Court in Hague and the second application of the Verkhovna Rada of Ukraine regarding the prosecution of leaders of the Russian Federation and the leaders of the so-called “LPR” and “DPR” for crimes against humanity and war crimes in parts of regions of Ukraine, as well as the massacre of Ukrainian citizens. The Deputy Prosecutor General mentioned the process of recording the violation of “The Convention for the Suppression of the Financing of Terrorism” of 1999 and “The Convention on the Elimination of All Forms of Racial Discrimination” of 1965. He also mentioned the investigation of the events on Maidan. 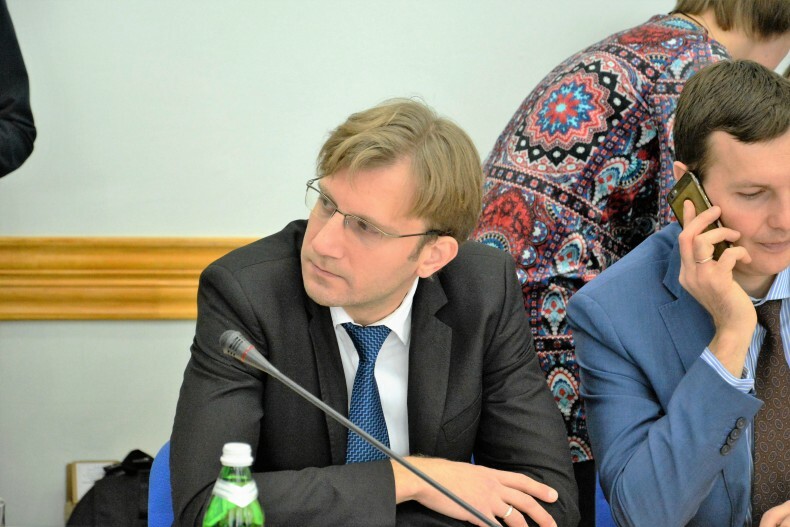 Yevhen Yenin highlighted that the aim of this activity is to bring to justice not only the perpetrators of ordinary criminal orders but also the Russian Federation – the state that takes part in the armed aggression. As for the cooperation of the civil society with public authorities, the Deputy Prosecutor General said that the current Criminal Procedure Code requires registering within 24 hours of information on crime in the Unified Register of pre-trial investigations. Ignoring these requirements invokes criminal liability. 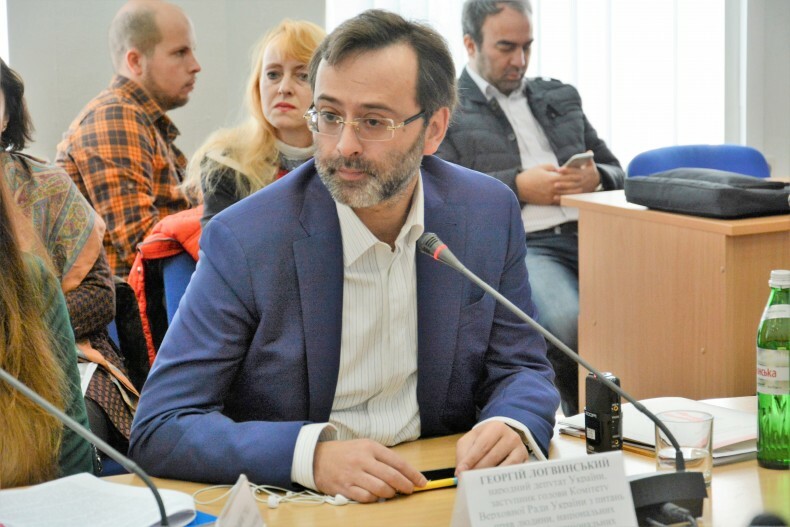 Anton Yanchuk, Deputy Minister of Justice, in his speech drew attention to the functions of the Ministry in documenting war crimes and human rights violations in connection with the fighting in the East. Namely, the maintenance and use of the appropriate database in cases against Russia in the European Court of Human Rights. Similarly to the Deputy Prosecutor General, Anton Yanchuk mentioned the process of negotiations with the Russian Federation regarding violations of international conventions. Iryna Kolopakha, the representative of the Ministry of Temporarily Occupied Territories and Internally Displaced Persons, recalled the creation of an interdepartmental working group on monitoring compliance with the international humanitarian law and international human rights law on the occupied territories and the ATO zone. The establishment of this working group is implemented according to the Action Plan to facilitate the implementation of the National Strategy on Human Rights till 2020. 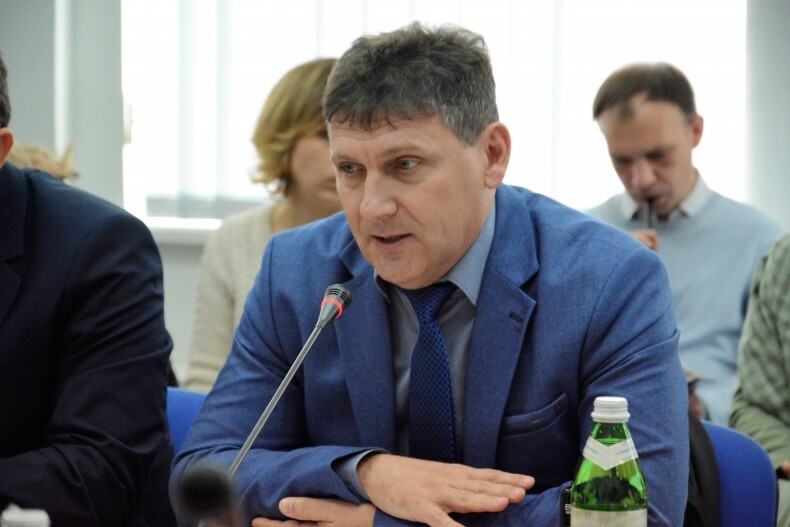 Bohdan Kryklyvenko, the Head of the Secretariat of the Authorized Human Rights Representative of the Verkhovna Rada of Ukraine, mentioned that the term for the establishment of the interdepartmental group ended about six months ago. According to him, the project was lost in governmental offices, and its approval still continues. The representative of the Ombudsman stressed that the Office supported the inclusion of UHHRU to the interdepartmental group as it has serious evidence database. He also recalled that the Ombudsman and UHHRU are official partners of the Human Rights in Action Project. This project includes the realization of the Center for Documentation, and other areas of Union’s work, such as the Coalition “Justice for Peace in Donbas.” Speaking of the need for cooperation of government agencies and human rights organizations, Bogdan Kryklyvenko stressed the importance of documenting crimes against humanity, as a national duty. Hennadii Shcherbak, a representative of an NGO dedicated to documenting war crimes and human rights violations under the conditions of war, also gave a speech. 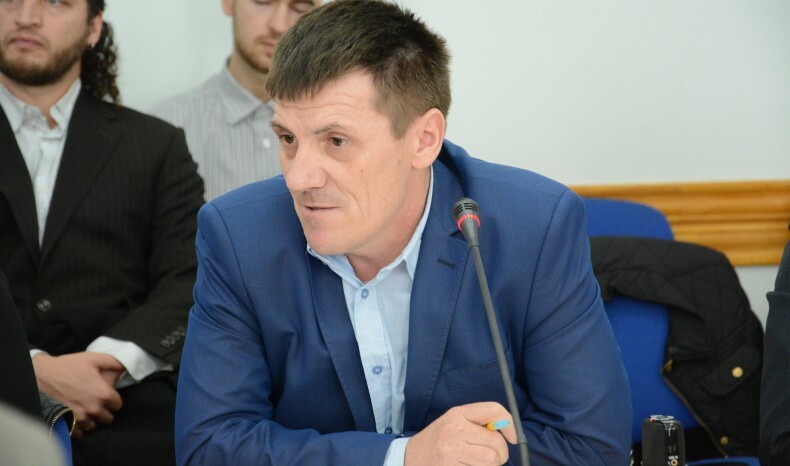 He is the head of the NGO “Peaceful Coast.” His initiative has been collecting this information for two years and has the largest resource on missing person cases – more than 3,000. Hennadii Shcherbak talked about 12 people who came out of captivity, including, some people kept by the terrorist Igor Bezler. According to him, these people have not been documented on time, and now the valuable information was lost because some of the witnesses were killed, and some returned to the front. The human rights advocate mentioned the essential problem – the situation with the missing persons. Often the investigations are carried out according to the place of residence, where in many cases the investigator does not know what to do and asks NGOs for information. Oleksandr Pavlichenko also stressed the point. He drew attention to the ineffectiveness of the mechanism of support of people who came out of captivity. If there is a question about their disappearance – they appear in the search databases of the Ministry of Internal Affairs and the National Police. According to the Chairman of UHHRU, people often come out of captivity and spend months to remove themselves from the search database, where they were listed, for example, two years ago, when relatives reported the abduction. 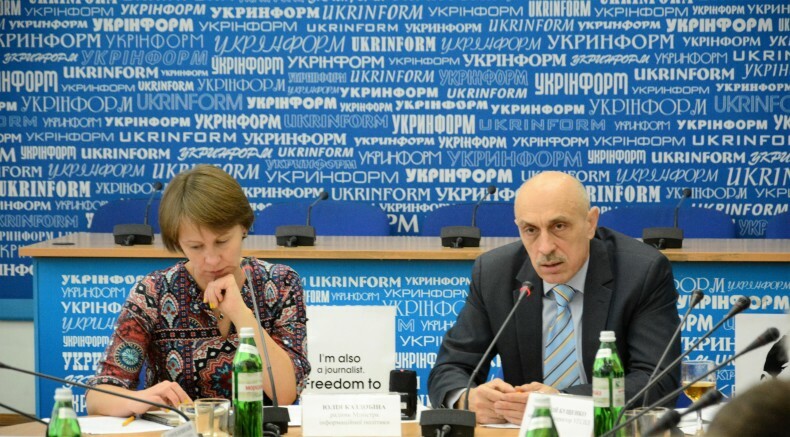 Yurii Tandit, the Negotiator of the Center for Search and Release of Captives and Hostages of the Security Service of Ukraine, asked Hennadii Shcherbak to provide the information about those twelve persons to facilitate the work of the Security Service. He described the joint work of the Security Service and NGOs, including the International Red Cross, and noted that the Security Service is open to effectively cooperation in the future. Yurii Tandit also announced the creation of the Interdepartmental Center for Release of Captives and Hostages on October 4. The Center employed about ten SBU officers and representatives of other law enforcement bodies – the Office of the Prosecutor General and the Interior Ministry on a regular basis. Regarding the Crimean issue, Yurii Tandit described the creation of the new department of SSU on Crimea, which operates in Kherson. The event was made possible by the generous support of the American people through the US Agency for International Development (USAID) as a part of USAID’s Human rights in action programme and implemented by the Ukrainian Helsinki Human Rights Union. The American people, through USAID, have provided economic and humanitarian assistance worldwide for nearly 50 years. 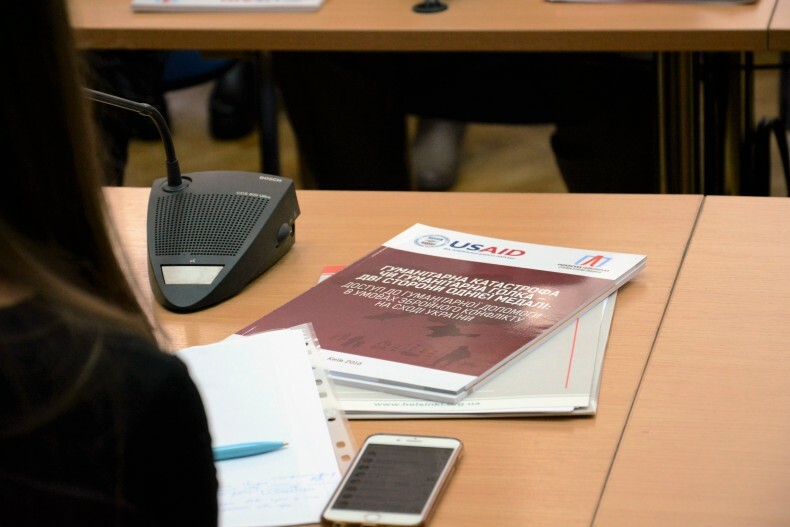 In Ukraine, USAID provides assistance in areas such as economic development, democracy and governance, health and social sector. Since 1992, the US Agency for International Development has provided Ukraine with technical and humanitarian assistance worth 1.8 billion US dollars. More information about USAID programs in Ukraine is available on the official website of USAID ukraine.usaid.gov and Facebook facebook.com/USAIDUkraine.